Sooo Bachelor is Paradise is premiering in a little less than two weeks - and on a scale of 0 to Corinne Olympios-level psyched over cheese pasta, I’m pretty much there. It’s legit my favorite thing to happen during the summer, and even my hubby gets excited about Mondays and Tuesdays during BIP season. Until it starts, though, I’ve just been keeping up with some of my favorites - Carly, Evan, Jade, Tanner, Ashley and Jared, and loving on their lives. And something big just happened, proving that Bachelor Nation isn’t such a lost cause. Juelia Kinney, single mama and one of Carly’s BESTIES from Chris Soules’ season, just got engaged to Evan Bass’ brother, Aaron, and it’s the cutest thing ever. 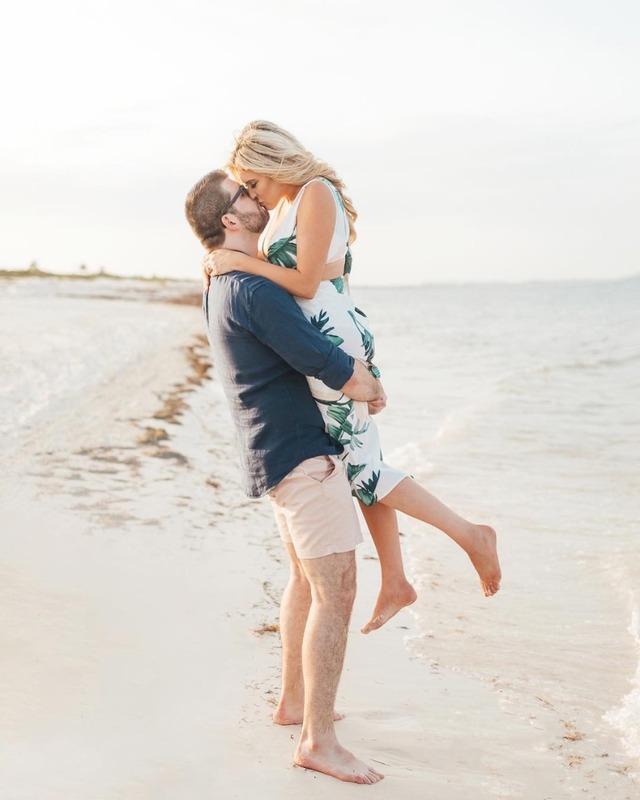 In a post from Juel’s Insta feed last night (July 25)☝️, the bubbly blonde reality star shared that she and @theaaronbass were engaged and she was the actual ‘luckiest girl in the world!’ The proposal happened on a beach in Mexico, too, with stunning photos to snapshot the occasion, sooo who wouldn’t feel like the luckiest in life, amirite? The best part of it all, though, is that now Juelia and Carly will be actual sisters (how many BFFs dream about that?!) - and they are obsessed with amazing turn of events. 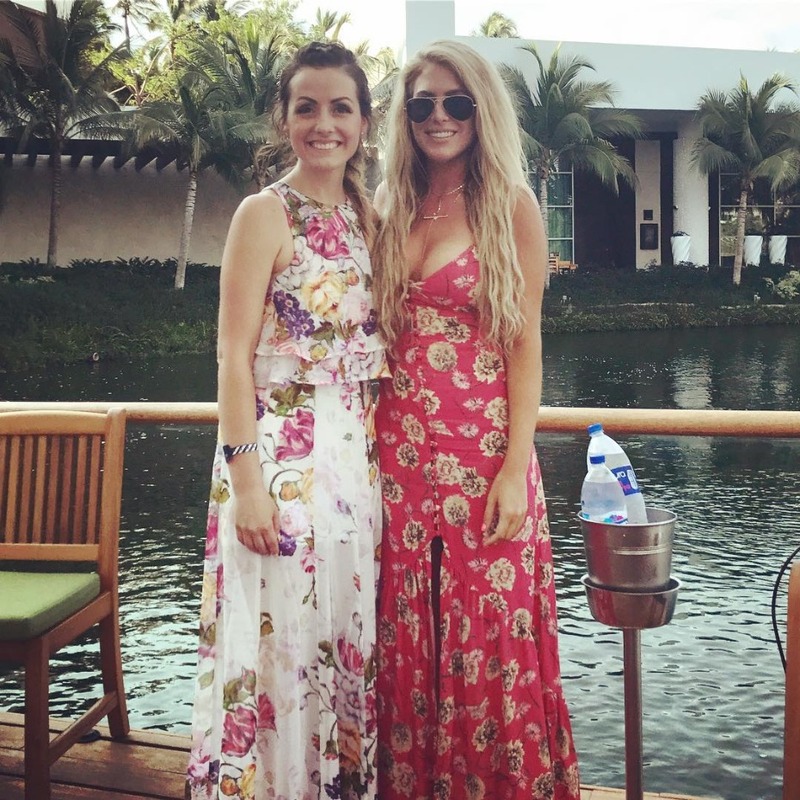 All it took were roles in Carly and Evan’s destination wedding in Mexico last year, some sneaky smooches on the beach a few hours later, a long-distance relationship gone right, and a trip back to paradise to make it happen. Dating/marrying brothers sounds a drip creepy, doesn’t it? But since it’s actually happening in my own fam RN (my first cousin is marrying my husband’s brother/my BIL), I am ALL FOR IT. Blind dates, Tinder, all the Bumbling in the world can’t even set you up with the same foundation you’d get by dating siblings. By the time my cousin met my brother-in-law we had been talking up the possibility of them hooking up for years already - filled them in on each other’s looks, likes, hobbies, dating histories - and then once we were engaged, the conversation only intensified. “Ya never knowwww, what if sparks fly when you see each other looking all glammed-up and studly, respectively? ?” And that’s what happened. Neither of them had to start totally from scratch upon meeting each other. They kind of just picked up from the wedding and started getting to know each other every day that followed. One of the hardest parts of dating and nurturing your new relationship is meeting each other’s families. It can be amazing, it can also be a total nightmare. But if you choose to build a life with brothers or sisters, you already have a pretty solid advantage. You’ve probably met his or her parents, other siblings, aunts and uncles, at family gatherings over the years; know which ones you like/dislike, and know how they all interact together. So, now it’s all about finding your place in the picture, finding your flow with the fam. My husband’s family is Ukrainian (and me and my cousin are Italian/Irish/German), so I’ve been able to help her ease into the cultural side of the family for years. Given her a ‘lay of the land,’ so to speak. And she trusts my advice, my outlook on things, because she has seen it all play out with me and my husband. Now, of course, not every pair of siblings gets along like crazy - but it’s a good bet that sisters can hang and brothers can hang and be able to make conversation pretty easily. Seemingly Evan and Aaron like each other - so I can only assume that when they all get together, with the wifeys, it’s happy, happy times.My husband and his brother are six years apart, but they like each other, too, so whenever me and my cousin go out to dinner or spend time with them, we have lots of fun. Again, not saying every case is the same, guys and girls can all be different, regardless of siblinghood. But, if your best friend has had her own fairy tale with a guy, and you know he has an unattached brother, you can kind of expect that he has a similar disposition, personality, set of values, etc. Juelia probably had some inclination that meeting and vibing with Aaron would work, because she knew her best friend (Carly)’s man so well and knew how good of a guy he was. Boys raised well will turn into great men and great fathers, and brothers are a great example. So how about that? Best new way to find your soulmate…. Remember that blood is thicker than water. 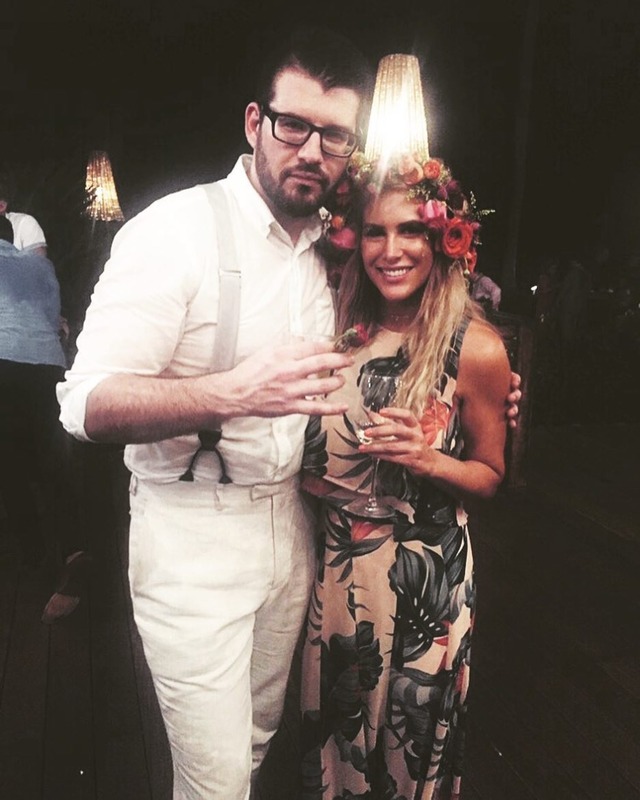 Oh, and also, go to Mexico… seemingly every new engaged couple had some kind of magic happen in 🇲🇽. And if you’re on the other side of things, like Carly and Evan, maybe it was all strategy. Don’t invite your bestie and brother to the wedding with a plus one, and you might just be orchestrating the next great love story of our time.